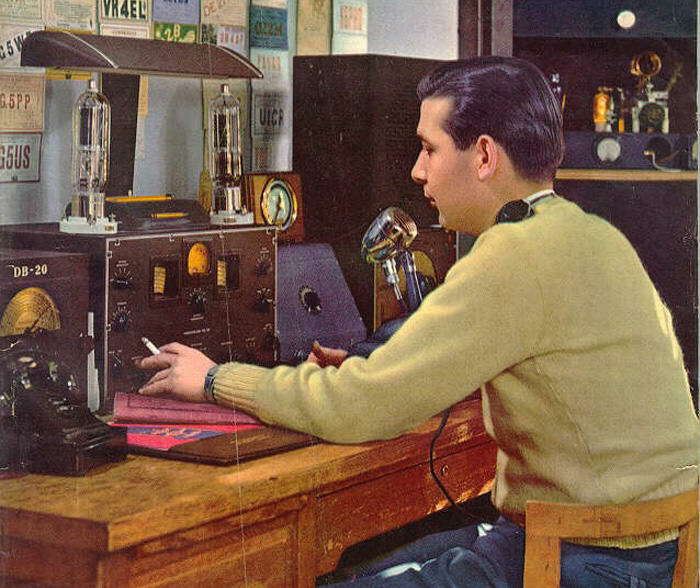 Stories and dramas of amateur radio service operators during the age of old time radio. Hams are amateur radio operators. They operate on designated frequencies under license from the government, and are allowed to transmit and receive non-commercial messages for both personal and public service purposes. Most hams practice their hobby simply for the fun of talking with friends on the other side of town or the other side of the world. Today, these are simple enough things to do using the telephone or the Internet, but in times of emergency, Hams are still able to make contact. In times of natural disaster, when disruption to the grid shut down telephone or Internet communication, there are often Hams who can reach the outside world to help coordinate relief efforts or simply to allow survivors to get word to loved ones. 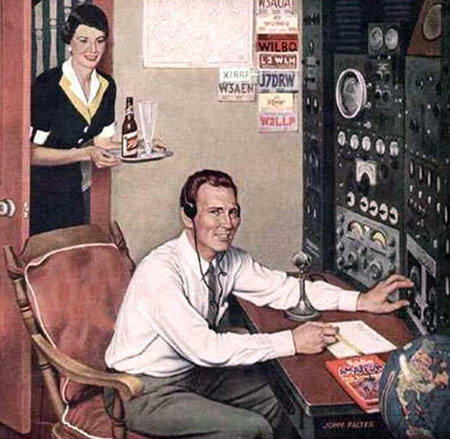 For decades, servicemen deployed around the world were able to contact the folks back home thanks to the assistance of Ham operators. Countless military newborn babies heard their daddy's voice for the first time over a telephone tied to a Ham network. Our Ham stories begin with the Campbell's Playhouse presentation of "The Mutiny on the Bounty". The classic sea story took place long before radio, but in a postscript to the story, Orson Welles talks to Dorothy Hall, a Ham operator who is credited with saving the residents of Pitcairn Island. The isolated paradise is the home of the survivors of the Bounty, cut off from the world. When an epidemic hits the island, Ham contact with Ms. Hall brings the aid and medicine needed. On the Suspense episode "Cat and Mouse", a pair of engineers working on a secret War project keep in contact over Ham radio, but during a broadcast one of the men is murdered! The Feb 20, 1947 edition of Grand Marquee features an amusing tale of a couple during the post-War housing shortage. How can they find room in their tiny apartment for her hobby of tropical fish collecting and his fascination with Ham radio? Guest Star on Jan 21, 1951, presents "Where Are The Bullets?" starring Gerald Mohr and Claire Trevor. The couple lives in a cabin in Montana, but they are hardly isolated thanks to their Ham set. They have friends all around the world, except for the murderer who was convicted on her testimony. When the bad guy escapes from prison and comes to the cabin for revenge, the only help can come from the friends on the Ham network. Be the first to comment on "Ham Radio"